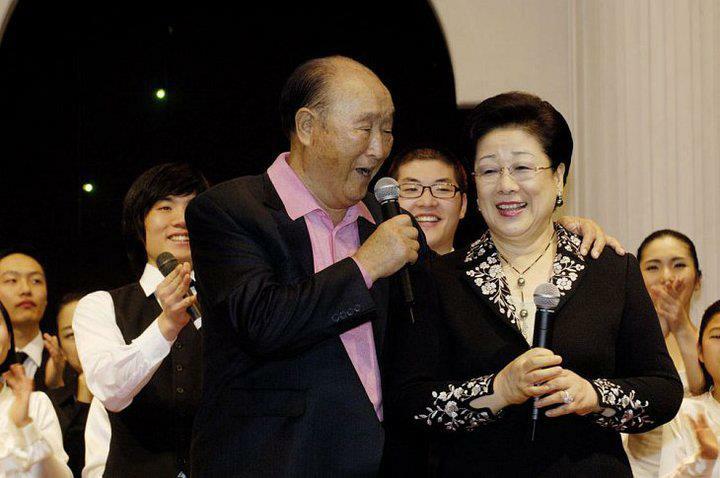 Reverend Sun Myung Moon ascended to the Spiritual World! I have no doubt he will send a hurricane of spiritual revival around the entire globe! The three Abrahamic religions, Judaism, Christianity and Islam, will face their End of Time or Last Days as many called it! End of Time, means the end of the Abrahamic religious theological concept on God's work of salvation and their misunderstanding and misinterpretation of prophecies regarding the Last Days and Second Coming of Christ! the three religions, particularly Christianity, the very religion that is prepared to receive the returning Messiah, will have to face Rev. Moon's profound revelation on this subject and much more! The three Abrahamic religion's sole solution could only be achieved through Theological debate and through understanding of Rev. Moon's thought-provoking theological concept on the Fall, mission of the Messiah and Last Days and the Second Coming, which Christians have repeatedly rejected! As for Rev. Moon being the Lord of the Second coming, mankind's only choices is to accept it or reject it.It does not need man's approval! Why? Because, God Himself anointed Rev. Moon to be the Messiah/Lord of Second Coming! Rev. Moon just passed away, yesterday, September 3r 2012.! I was a Muslim and by the grace of God, the Spirit of God guided me through phenomenon dreams to meet the Unification Church in America in a most dramatic and captivating ways. In fact I published an autobiographical account, "Honor Thy God" of my story on how i met Rev. Moon's Church through dreams.. In a dream, I was told, I would meet the Messiah on October 6,1981 and was told in the dream to go out and look for it. After evaluating my dream, I realized the spiritual significant of the dream, I bought a 30-day Greyhound pass. As I was told in the dream "go out and look for it", I traveled from state to state looking for my dream promise. At the end of my 30-day Greyhound pass, on my last trip to New York, I met a lady friend that invited me to visit her in Chattanooga TN. After spending few days in New York and was about to give up looking for the dream promise, a voice spoke inside my mind and said to me "what about that lady from Chattanooga, could she be your dream promise? Amazed but what I had heard, I quickly went to the bus depot and bought my ticked to Chattanooga. When I arrived, a strange thing happened! For some unknown reason, I decided not to meet my lady friend, instead I met the Unification Church missionaries, while reading the bad news about Anwar Sadat's Assassination on October 6,1981, exactly the very day I was told in the dream! Speaking on theological terms, one needs to understand Rev. Moon's theological thought-provoking concept, on Last Days, Second Coming and especially on the tragic death of Jesus Christ, which Christians believed was planned by God, this is truly incorrect! According to Rev. Moon's teaching, Jesus' death on the cross was God's most tragic event! Another thought-provoking concept is about John The Baptist, Christians revered as the greatest prophet. he was proven failure! John the Baptist made Jesus looked like a liar by going against Jesus word that he was the returning Elijah. With his denial, he led the Jews to disbelieve in Jesus and ultimately killed him! read Matt. 17:10,11,12,13 and John 1:19-23. Just as the Jews were expecting the return of Elijah, 2000 years ago, riding on a Chariot of fire from the sky (Malchi 4:4-5-6 and 2 Kings 2:11), Christians are looking up to the sky, expecting the returning Messiah to appear on the cloud. This is the profound truth that Rev. Moon is teaching, that cannot be found in any religious teaching, be it old or new religion! To review my book, Honor Thy God, I reduced the price for ebook version to just $3.99 on Amazon.